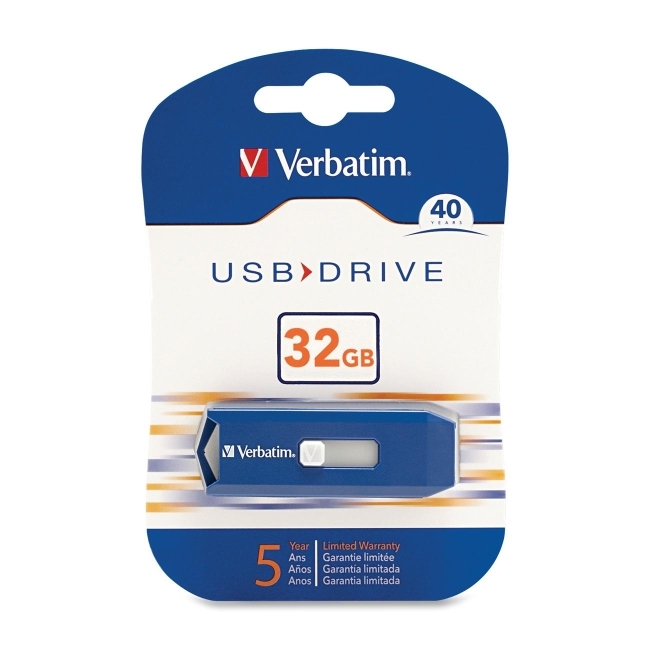 Get back to basics - with Verbatim's classic USB drive! Transport and share files without the unnecessary bells and whistles. These classic USB drives give you just the basics - the ability to capture your data in one small, convenient location and move that information with you throughout the day. The retractable housing protects the USB connectors and easily slides in and out--great for preventing breakage and prolonging product life! These USBs come in the most popular capacities around--2GB, 4GB, 8GB, 16GB, and 32GB. Whether you have a lot or a little to save, Verbatim has a capacity to suit your needs!